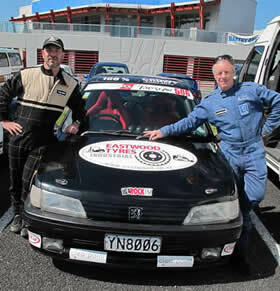 The car, a Peugeot 106 xsi, driven by Propella General Manager Rob Wolff and TVNZ's John Mulrennan, achieved 1st place in the Index of Performance in the Modern Competition which in plain English means they came first on handicap out of 50 for their division. 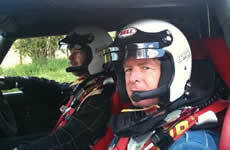 The Targa rally runs from Auckland to Wellington over 6 days. It consists of 720 kms of special stages (approx 6 special stages per day). It is a gruelling task where the car preparation, driving skill, co-driver calls and servicing all have to work well in order to even finish the event. 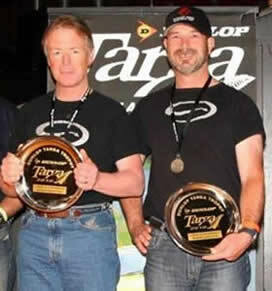 Rob and John's achievement was all the more worthy given that they were novice drivers, had never driven the Peugeot (or any other car) on the road at high speeds before, had a novice service crew and were driving a 1993 1600cc car. Special mention also to Eastwood Forklift Tyres, a Propella client, for also sponsoring the car – take a look at the news on www.eastwood.co.nz . Propella thought this was an effort worthy of support and backed the boys to make it to Wellington . The support proved to be well earned when they brought home the 1 st placed plate and finishers medals. We coined the phrase ‘Propella gives the drive' for our golf shirts and this just shows we really do.